It is hard to believe that a private university may lead to the expulsion of a member state. If the European Commission is going to support the opposition against Orbán, it is not going to help regain its credibility among member states, Balász Jarábik told EURACTIV Czech Republic. Balázs Jarábik is a nonresident scholar at the Carnegie Endowment for International Peace, where his research focuses on Eastern and Central Europe with a particular focus on Ukraine. He is based in Budapest. Jarábik spoke to EURACTIV.cz Editor-in-Chief Adéla Denková. 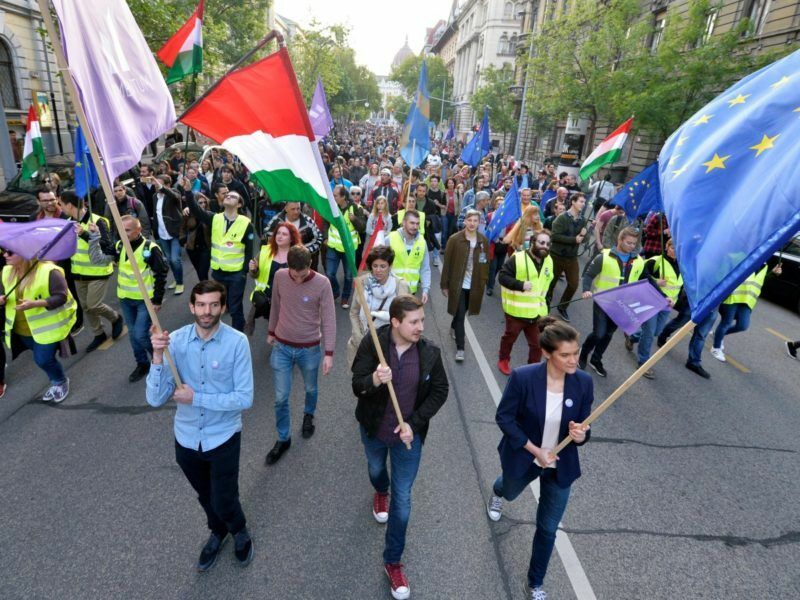 The European Commission has sent a letter of formal notice to Budapest, as a reaction to the new Hungarian Higher Education Law, which is perceived by to be an attempt to close down the Central European University. What is happening in the country? There are going to be elections in Hungary within a year. The governing party, Fidesz, started to test the waters and is looking for a scapegoat. Viktor Orbán is mostly aiming at his conservative voters’ base in rural areas. This is a traditionalist turn. It can be observed not only in Hungary. The division between urban and rural areas in terms of income, political traditions or values is a global phenomenon. Orbán has been trying for a long time to portrait himself as a champion of the traditionalists. Where is the rationale of attacking George Soros and the Central European University? The 2018 parliamentary election campaign is going to be about corruption and anti-corruption measures. Orbán is blaming NGOs and other institutions financed by Soros for putting this issue into the limelight. Fidesz sees that as an attempt to bring down the government. Talking about the Central European University, you can ask why Orbán is playing with fire. I think it is kind of a test but it could signal that the decision-making circle around the prime minister is getting narrow and reflection getting rare. This is also showing how much is Fidesz running out of arguments. Hungarians may feel like “we have seen this guy long enough and we can try something else”. This is exactly what Orbán is trying to avoid. It is kind of an “either us or no one” type of situation. The CEU affair is helping him to polarise the society and if he succeeds, Hungarians are not going to vote for Fidesz not because they want, but because they have a feeling that there is no other choice. 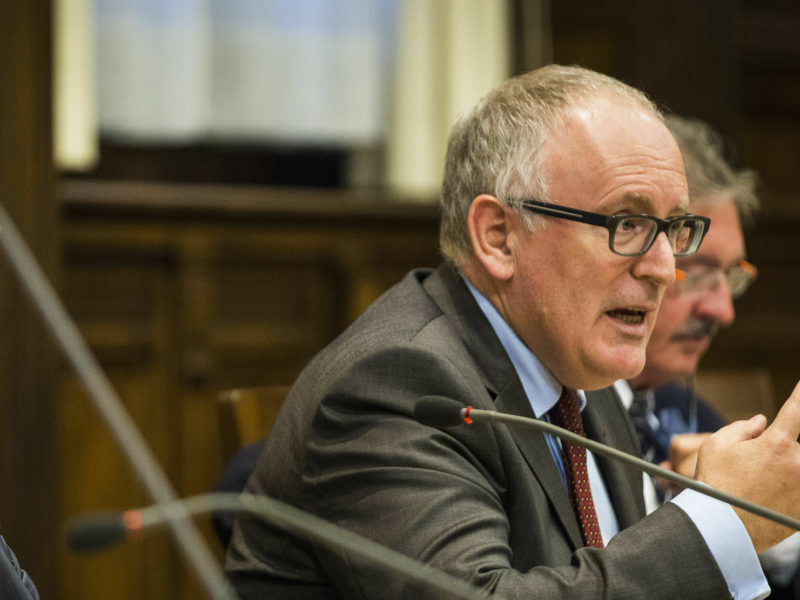 Hungary has urged European Commission Vice-President Frans Timmermans to quit after he was quoted suggesting Prime Minister Viktor Orbán’s animosity towards US billionaire George Soros is driven by anti-Semitism. And is it true? Is there no other option than Fidesz? Jobbik is the only serious contender now when it comes to the protection of national interests, which is the most important thing for the traditionalists and their voters’ base but is gaining significance even in the capital. The Socialist Party is also trying to stage a comeback, but the remnants of the Liberals or the Democratic Coalition led by the former Socialist Prime Minister Ferenc Gyurcsány is likely to confirm that they will compete with each other and not with Orbán’s national vision. Unfortunately, the media are picking up on the illiberalism issue in a sense that this is something against democracy. 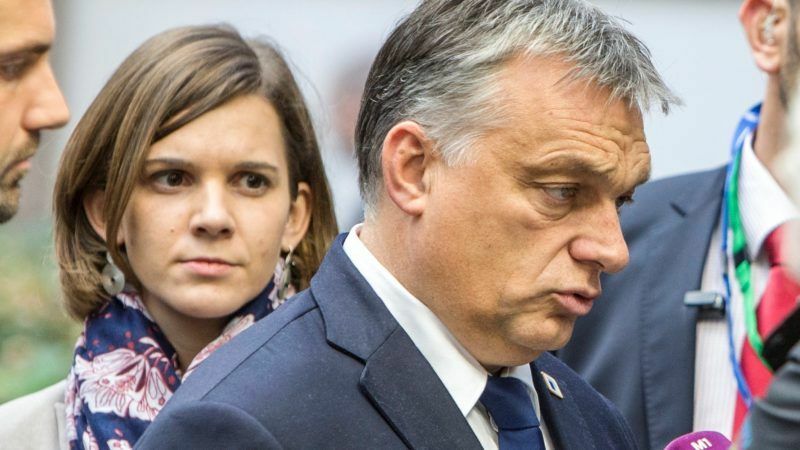 But if you listen to his famous speech from July 2014, Orbán said: “Look, liberalism is currently going in a wrong direction, and we want to protect our national interests against those internationals who are planning to colonise Hungary.” The language is neither politically correct nor what the European elites want to hear, but at the same time, this is exactly the echo of national interests’ protection that is important to voters. Speaking about Jobbik, it is interesting that the far-right party took sides with CEU supporters. Perhaps this is what Orbán is trying to do – to change the image of Jobbik as a party protecting national interests to a party protecting the interests of George Soros. I think this has been just a prelude. The election is expected in spring 2018, so it will be a long campaign. And I do not think it is a coincidence that Jobbik came up with a huge anti-corruption campaign just days before the CEU law. Billboards reading, “You work – they steal” are all over the country. Do you believe the anti-corruption narrative may work in Hungary? Personally, I think that the opposition cannot win this fight with corruption alone. It is a disruptive issue, and the opposition was also corrupt when they were in power, championing foreign direct investment. Hungary today has the highest FDI on GDP among the Visegrad countries and an illiberal political champion ruling. And Jobbik is now supported by Lajos Simicska, who used to be the treasurer of Fidesz, arranging the financing of the party for two decades. We can also see massive anti-corruption protests in Slovakia. Probably, at least for some voters, it does work. The question is whether you can win an election with an anti-corruption campaign if you do not offer other topics. Corruption is one of the most serious issues in Central European countries but the biggest problem is what happens next. Who is going to rule the country? In Slovakia, the protests have been initiated by NGOs and media personalities. Sooner or later, they will have to say what happens next and what their vision is for the country. Let’s also not forget that corruption has different angles. In Hungary, it has been calculated that in 2016, companies close to Orbán won 4% of all public procurement. Some NGOs say this is kleptocracy. Sure, there been manipulation of rules. But Fidesz sees that the internationals engage in similar manipulations to advance their own interests and bend the rules. 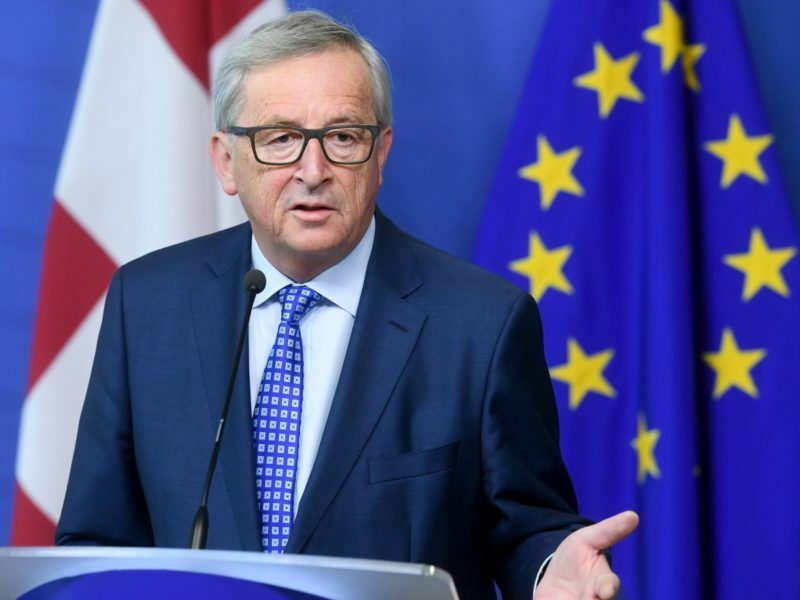 Asked by EURACTIV to comment on the “illiberal” drift in Hungary, Commission President Jean-Claude Juncker said today (6 April) that he did not like the push to close the Central European University, founded by George Soros, and commented on the “Let’s Stop Brussels” initiative. The fight against corruption is important, but protests usually send a negative message. What is going to mobilise your voters positively? There has been a lot of criticism against Donald Trump in the United States for being negative. Actually, he has a deeply positive message: “Make America great again!” That is as positive as can be. How does Orbán perceive the EU? Is he an anti-EU guy? How is the EU perceived by the people? Around 70% of the public in Hungary supports the EU. That is also the reason why Orbán is looking for another international scapegoat, not the EU. Migrants used to be a big topic in Hungary, but the situation has changed. The government lost the migrant quota referendum last year, as it was not able to mobilise voters and the turnout did not exceed 50%. But Orbán is critical of the EU. Orbán regularly talks about the need for the EU to accept the national interests of its own member states. For the Hungarian government, it is about the character of the EU and how it works, not whether we should belong to the EU or not. But of course, the big question in the region is not that much Hungary, but Poland. Given its size and the importance, the relationship between Brussels and Warsaw will be crucial and Orbán is aware of that. I do think he has been deliberately provoking the EU and taking advantage of the criticism from Brussels at home, as he can sell the popular message – “they criticise us because we are protecting our national interests”. Given the reaction from the European People`s Party, its political family, which has never let Orbán down, he may have understood that this time he went too far and he can’t win this fight against international solidarity with the CEU. 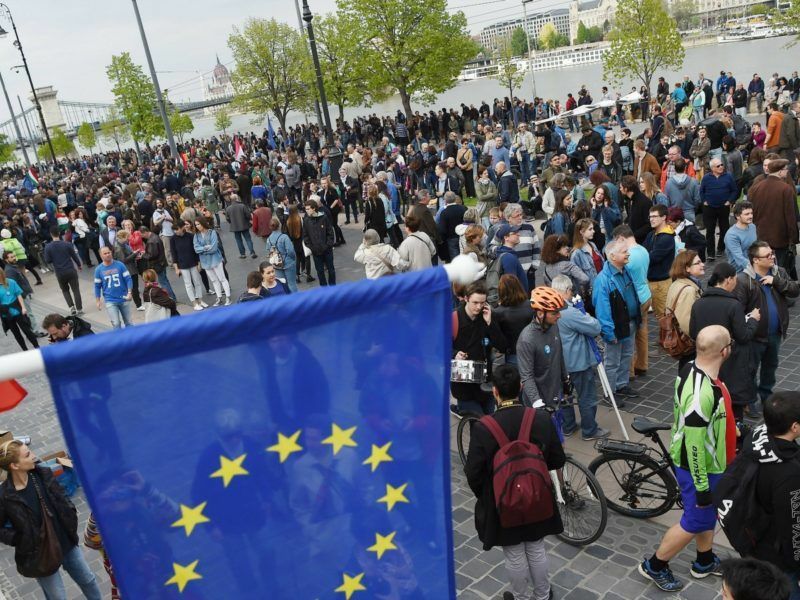 Hungary saw the biggest anti-government protest in three years on Sunday (9 April), as tens of thousands demonstrated against new higher education legislation seen as targeting the respected Central European University. How about the Hungarian government’s campaign to “stop Brussels”? A questionnaire with six questions has been distributed to each household. None of these questions is related to the EU competences, so it is largely misleading (the public). Yet again, the main message is that “the EU does not let us protect our national interests”. The Hungarian government spinning this message does not mean it is against the EU, even though for obvious reasons Brussels took it exactly this way. It is also very important that Fidesz created its own media. There is a government-related media empire that can spin the messages it wants to at home. Many of the last remaining independent media are in a campaign against Orbán, which in turn is yet another reason why many Hungarians will prefer the government media. They think have the power to frame the messages they believe is necessary for winning the next elections. How should the European Commission approach Hungary? If they try to intervene, the reaction might be negative. Orbán knows about the weakness of the European Commission in this particular case. The issue is that after the Brexit referendum, the EU cannot really lose any other member state. It is also hard to believe that a private university may lead to the expulsion of a member state. If the Commission is going to support the opposition against Orbán, it is not going to help to regain the credibility of the member states. However, if they stay above the issue, and offer unbiased legal analyses of the situation, handling this as a technical issue according to its mandate, it may strengthen the Commission`s credibility. Is Hungary a pro-Russian country? Hungary has been trying to open towards the East for the last eight years. It has been a long-term foreign policy that contains not only Russia but also countries – the Eastern Partnership countries and China. The results are quite mixed, but at the same time this may be strange from smaller member states but not necessarily wrong, as it is about business. Thousands of Hungarians rallied in Budapest Monday, chanting “Europe, not Moscow” in support of the EU and against Prime Minister Viktor Orbán, whom protesters said is too close to Russia.